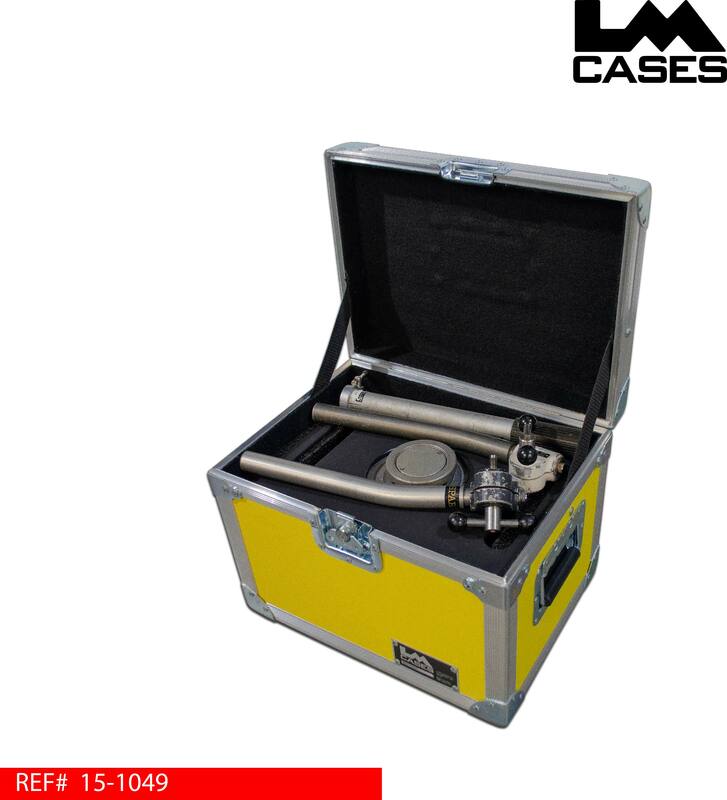 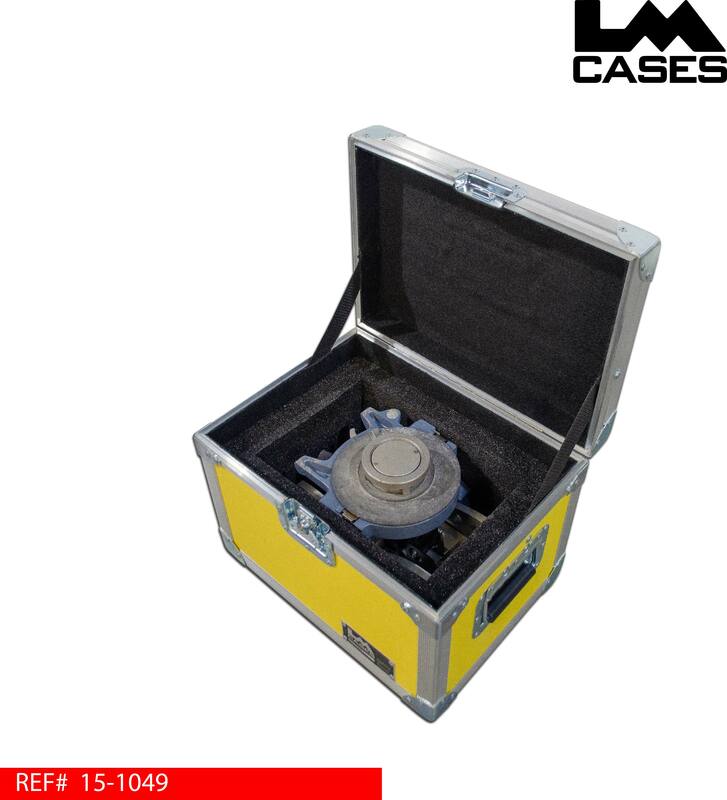 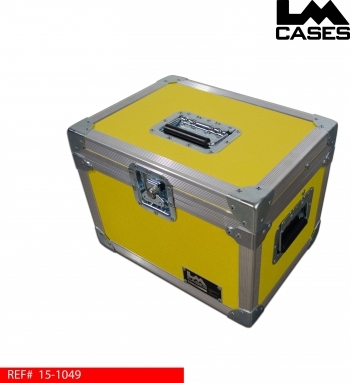 This case was designed for NHK America to hold a camera tripod head. The head is held in a custom CNC cut foam insert with a removable marine grade plastic divider that allows for storage of 2 control arms and an extension arm on top of the head. The case is built out of 1/4" plywood laminated with yellow ABS plastic.